2019 dates available. We can arrange for individuals or teams to serve throughout the year in the platforms of healthcare and parenting. Prefer to join an existing team? Travel with us! 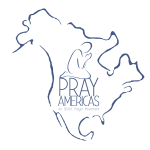 A combined prayer and disaster relief trip will be taking place in January. As part of a disaster relief team, you will be prayer walking and helping to rebuild homes destroyed by the volcanic eruption in June 2018. As part of a healthcare team, you will be prayer walking and serving in small communities villages that are in great need of medical care and compassion. Your patients could range from residents of remote villages who are in desperate need of medical care and first aid, to people in bustling cities who simply don’t have adequate access to healthcare. As part of a parenting team, you will be prayer walking and serving at-risk children. You will help to mentor children whose lives have been affected by violence.